Happy Monday everyone. I love games, another one of my addictions at thrift stores and garage sales. 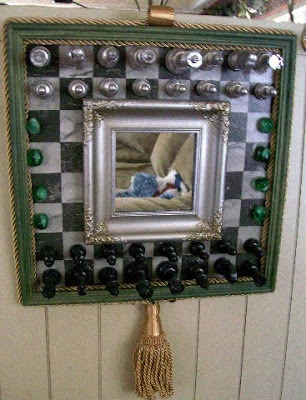 In this project I have transformed a discarded chess game into a wall hanging. 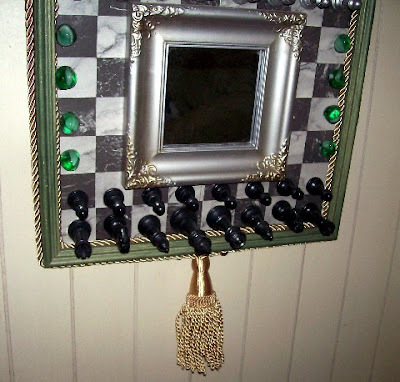 To start I attached a frame to the chess board. I spray painted the plastic white game pieces silver. Next, I lightly added glitter to the black and silver pieces. I glued the game pieces to the chess board. 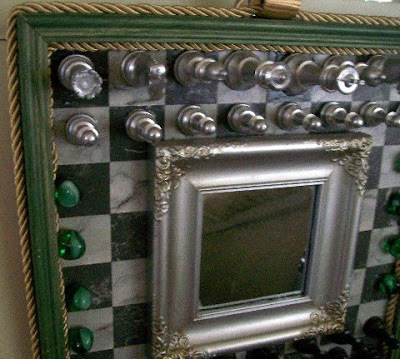 In the center of the chess board I added a small silver mirror. I embellished with trim, a tassel and some colored glass marbles. Finally, I attached a wire hanger to the back of the frame. I was very pleased with the way it turned out. 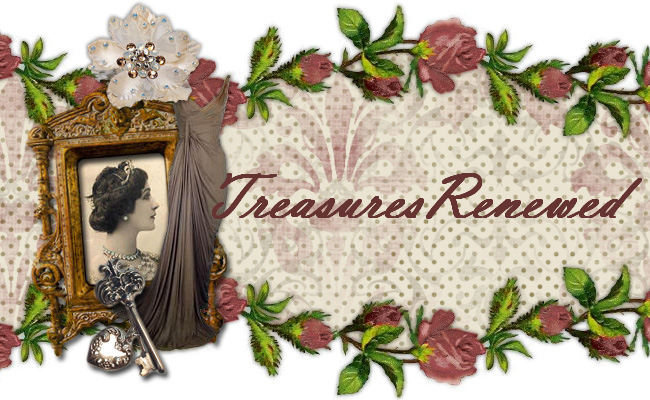 So glad you visited my blog and left the sweet comment as now I have found yours and I am always happy to meet another person who loves vintage treasures. This project is awesome.